With e-commerce business booming, it has become a new trend to sell things online. India’s popular 2-wheeler automotive company Royal Enfield is following the new online only exclusive sale trend by bringing its new range of limited edition bikes and gears to its online store, reports from Press Trust of India confirmed on the same. Royal Enfield is a subsidiary company of Eicher. The Chennai-based 2 wheeler manufacturer which now sells various other popular models including Bullet, Classic and Thunderbird, would soon start selling the new limited edition bikes, gears and accessories in local as well as International market through its online channel. New limited edition range from Royal Enfield is entirely based on Classic 500 model. 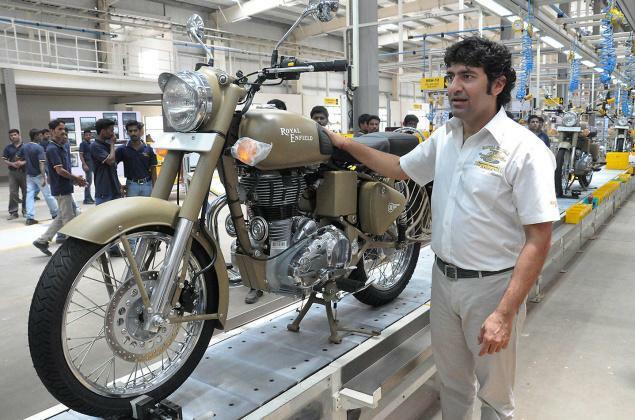 Only 600 units of limited edition bikes would be available for sale, the CEO of Royal Enfield confirmed. The company would be rolling out 200 bikes of each of the 3 colours announced. Other than the bikes, the gears and accessories such as leather jackets and shoes would be available in around 50 international markets where the company has its presence. This is not the first time, an automotive company is selling bikes online. Very recently, Piaggio announced that Vespa scooters would be made available to buy online through Snapdeal – India’s largest e-commerce store.